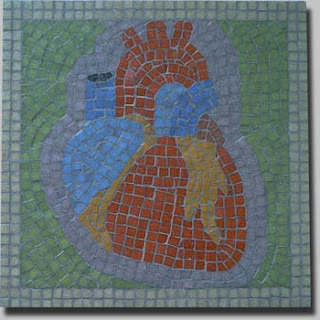 This year's Valentine's Day gift is a mosaic trivet. My choice of colors made it look a bit like a stained-glass panel. Actually, it looks more like a Lite-Brite picture. The colors are more vivid than this picture reflects, but still leave something to be desired.